First, Jobs died young. Even though his illness ravaged his body and made him appear far older than he actually was, Jobs was only 56 years old at the time of his passing. The average male life expectancy in the U.S. is just about 76. For the world overall, it’s 67. To be fair, those ages are calculated at birth, but Jobs was also a billionaire with access to any doctor in the world that he could have wanted. He was simply dealt a bad hand with cancer. And it robbed him of at least 20 years on this planet. But it didn’t just rob Jobs. It robbed us too. That’s why people who haven’t met the man care so deeply. Not only is his early death a sad story, it takes away a man who will go down as one of the greatest innovators of not only our time, but of any time. And while you could certainly argue that someone like Michael Jackson contributed great art to the world — he did — he hadn’t done anything significant in nearly 20 years at the time of this death. Steve Jobs was in his prime when it came to his trade, when he passed away. It’s both sad and frustrating to think about what we’re going to miss in terms of innovation over the next 20 years because Jobs won’t be here. Even if you aren’t a fan of Apple, you cannot argue that Jobs hasn’t transformed industries and made them significantly better. He was a true iconoclast. And we’re now in an age where technology is becoming increasingly important to everyones’ lives on a daily basis. The fact that we have to push forward without the best mind in the field is quite frankly, a little frightening. Others will step up. 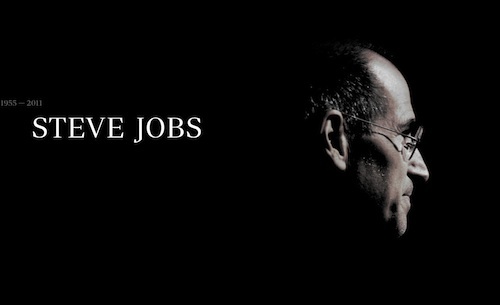 But there will never be another Steve Jobs. The world aches knowing that. Many artists and geniuses aren’t appreciated in their day. It’s only after they’ve died that their legend is established. But Jobs was appreciated and given proper respect well before his death. This also plays into the outpouring of emotion we’re seeing. Most people realize that the world has just lost a genius. I might argue that Jobs is the first truly transformative figure to die in an age of transformative technology. He’s someone who will be talked about a thousand years from now. And the fact that he was transformative in technology just compounds the reactions to his death right now. In February, Steven P. Jobs had learned that, after years of fighting cancer, his time was becoming shorter. He quietly told a few acquaintances, and they, in turn, whispered to others. And so a pilgrimage began. The calls trickled in at first. Just a few, then dozens, and in recent weeks, a nearly endless stream of people who wanted a few moments to say goodbye, according to people close to Mr. Jobs. Most were intercepted by his wife, Laurene. She would apologetically explain that he was too tired to receive many visitors. In his final weeks, he became so weak that it was hard for him to walk up the stairs of his own home anymore, she confided to one caller. Mr. Jobs spent his final weeks — as he had spent most of his life — in tight control of his choices. He invited a close friend, the physician Dean Ornish, a preventive health advocate, to join him for sushi at one of his favorite restaurants, Jin Sho in Palo Alto. He said goodbye to longtime colleagues including the venture capitalist John Doerr, the Apple board member Bill Campbell and the Disney chief executive Robert A. Iger. He offered Apple’s executives advice on unveiling the iPhone 4S, which occurred on Tuesday. He spoke to his biographer, Walter Isaacson. He started a new drug regime, and told some friends that there was reason for hope. But, mostly, he spent time with his wife and children — who will now oversee a fortune of at least $6.5 billion, and, in addition to their grief, take on responsibility for tending to the legacy of someone who was as much a symbol as a man. On Thursday, as online eulogies multiplied and the walls of Apple stores in Taiwan, New York, Shanghai and Frankfurt were papered with hand-drawn cards, the S.U.V.’s were removed and the sidewalk at his home became a garland of bouquets, candles and a pile of apples, each with one bite carefully removed. Mr. Jobs himself never got a college degree. Despite leaving Reed College after six months, he was asked to give the 2005 commencement speech at Stanford.